garance. doré. x. rifle. paper. co. - bitte.und.danke. garance. doré. x. rifle. paper. co. Sometimes collaborations are just meant to be. The stars align and everything falls seamlessly into place. 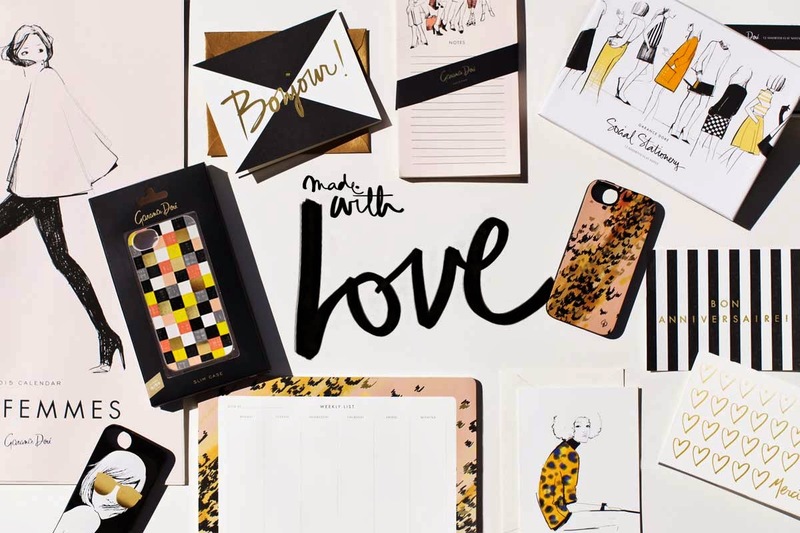 As far as stationery collaborations go, I can’t imagine a more perfect union than one between Rifle Paper Co. and fashion photographer, illustrator and writer Garance Doré. Upon first glance, I knew that it was going to be good. An acute attention to detail paired with seriously impeccable fashion illustrations combine to form a high-quality product that is as aesthetically pleasing as it is functional. Those of you, like myself, who have an unwavering obsession with all things paper are in for a special treat. 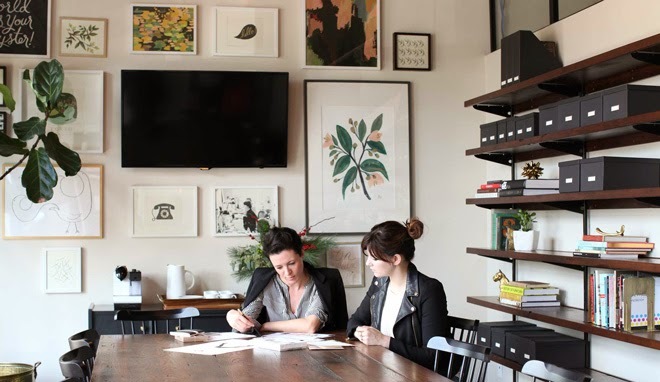 As luck would have it, both Anna Bond (co-owner and creative director at Rifle Paper Co.) and Garance Doré share an appreciation for gorgeous illustrations and designs. It seems that timing was everything. Despite this being Rifle Paper Co.’s first capsule collection, when Doré reached out to Bond, her answer was a resounding “yes.” The fact that they were both already fans of each other’s work makes the launch of their line even sweeter. 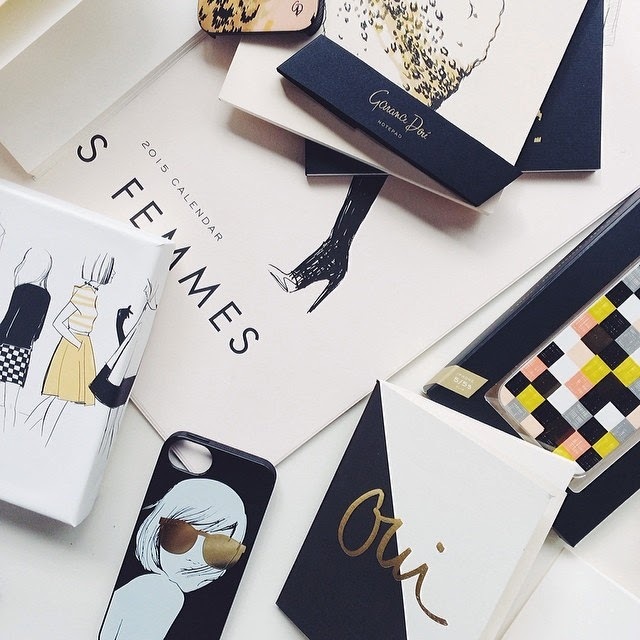 The line includes stationery, notebooks, greeting cards, calendars and even iPhone cases. Let me tell you, the illustrations are as Parisian chic as they come, all featuring attractive script fonts and a soft, muted color palette. A notebook is more than just a journal to record thoughts in; how it looks and feels speaks volumes too. As Doré told Style.com, “illustrations ought to be something you can carry with you.” Maybe I don’t need a new notebook per se, but it’s safe to say that I secretly want one anyway! So classy, refined, and sophisticated, if this stationery collection doesn’t knock your socks off, I don’t know what will. While the Garance Doré x Rifle Paper Co. line already had its official debut at Paris retailer Colette, the launch date in the US couldn’t come soon enough. Arriving Spring 2014, look out for it any day now!